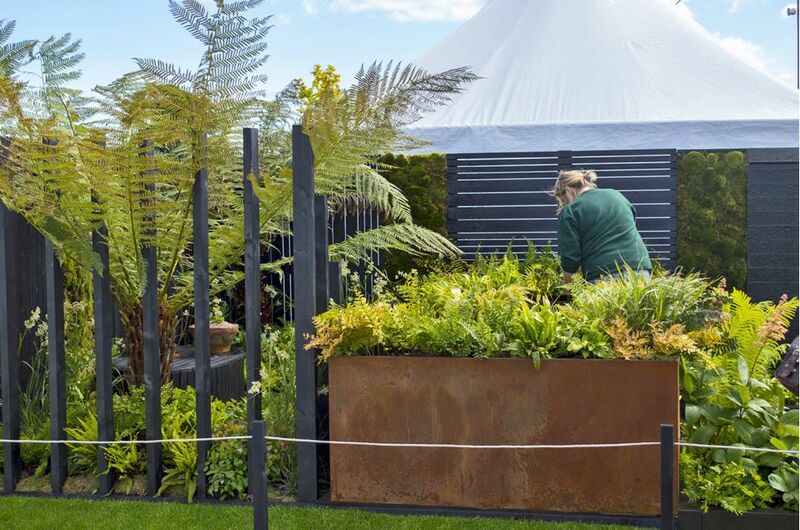 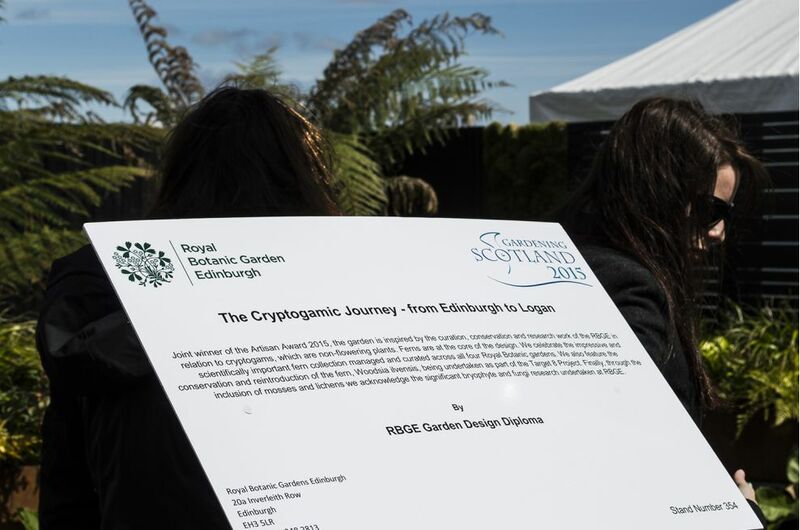 IOTA was pleased to sponsor the Royal Botanic Garden Edinburgh [RBGE] show garden at Gardening Scotland 2015 – ‘A Cryptogamic Journey…from Edinburgh to Logan’. 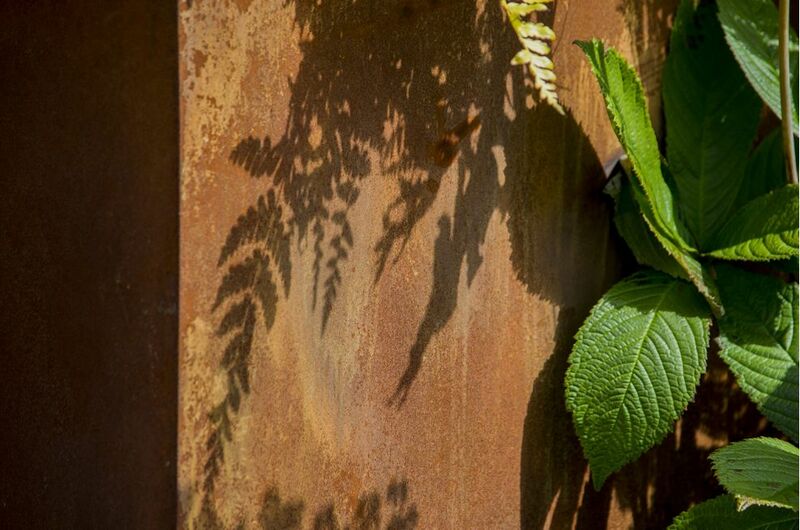 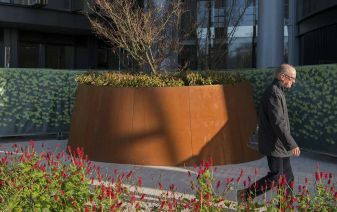 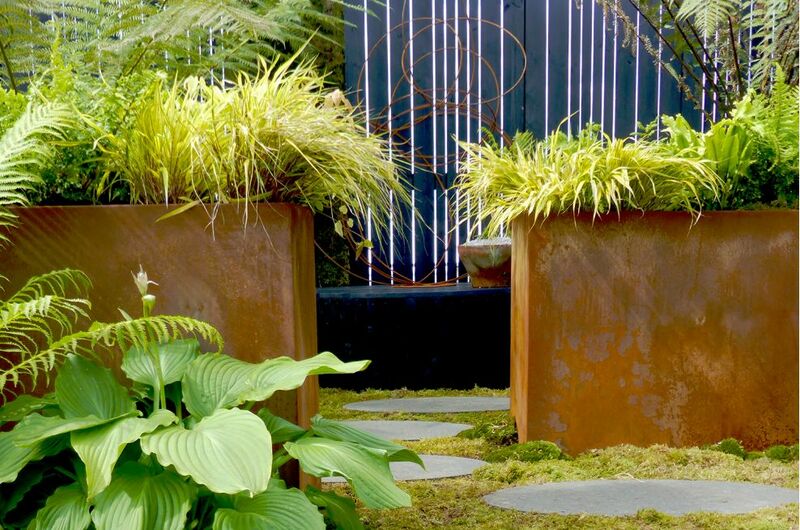 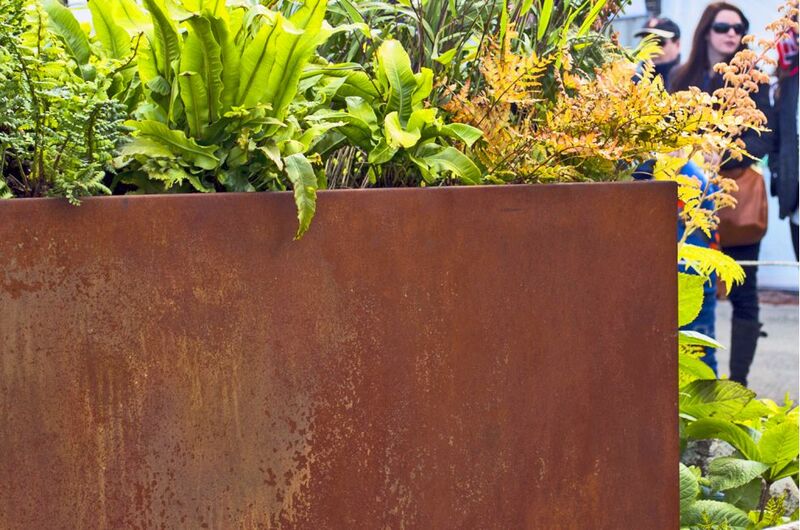 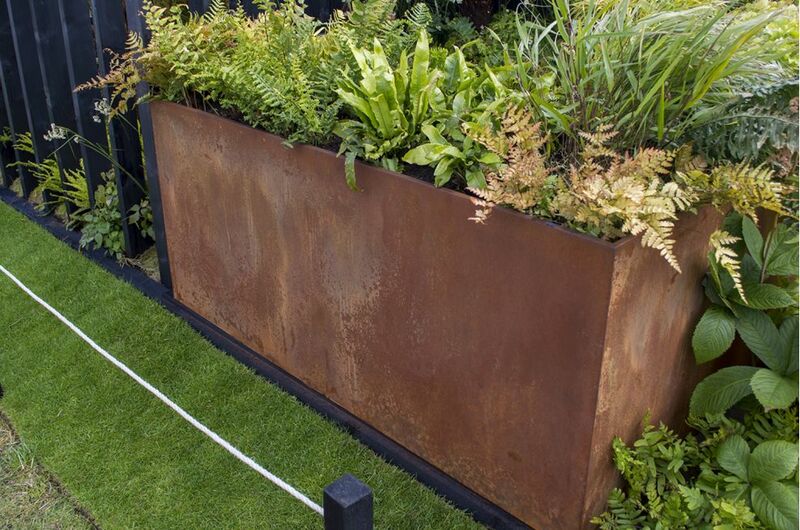 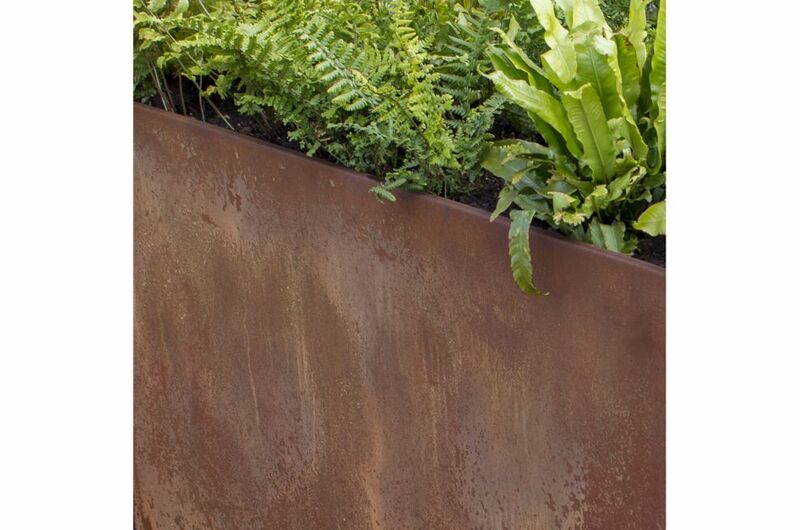 A pair of bespoke Corten steel planters were donated, each an L-shaped planter L 1700 / 1600 x W 500 x H 700mm. 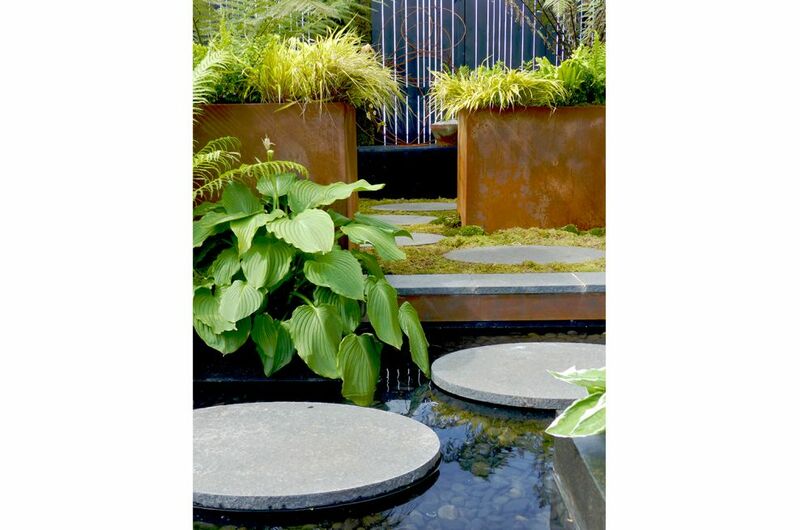 The planters are located at the central, transitional space of the garden, flanking a path of diatom-inspired stepping stones through a lawn of moss. 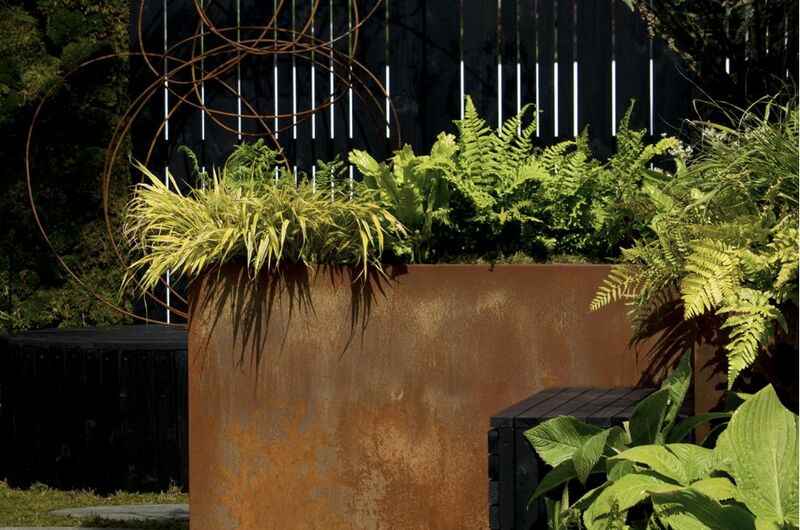 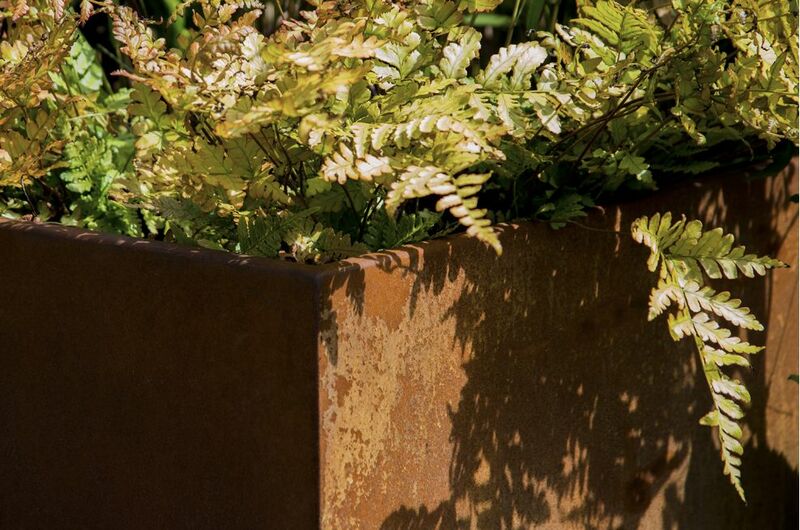 Cryptogams reproduce by spores, without flowers or seeds; and Corten steel was chosen for IOTA’s planters, to evoke the bright orange and rust-coloured hues of fern spores. 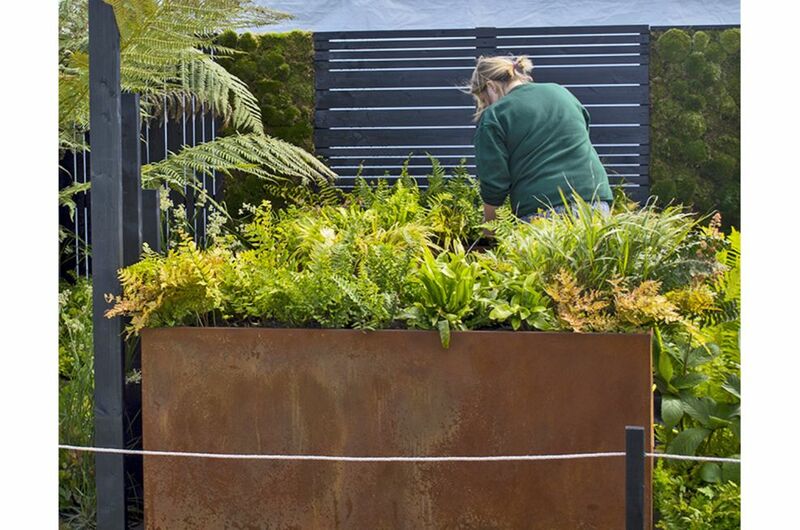 The garden was designed by Susanna Harley, and was built by students on the Gardening Design Course at RBGE. 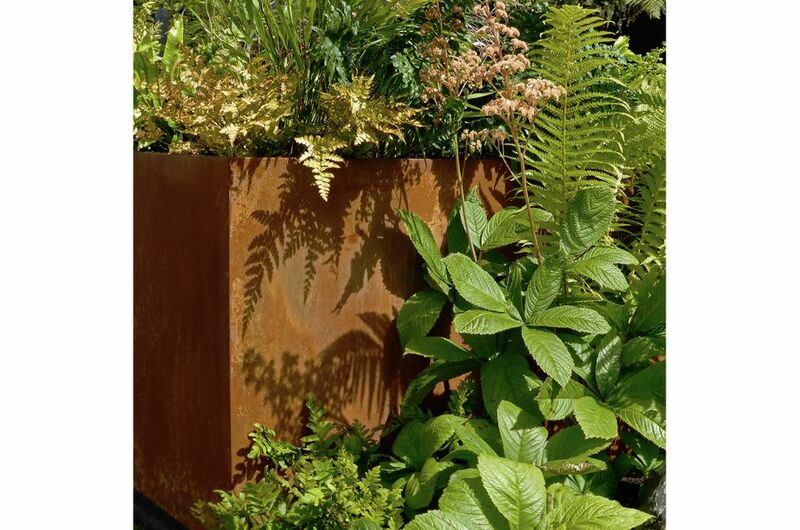 The garden was inspired by the work of RBGE as a world leader in cryptogam research: cryptogams being a vitally important biological grouping, including the fungi (including lichens), bryophytes (mosses, liverworts and hornworts), the pteridophytes (ferns and horsetails), and algae. 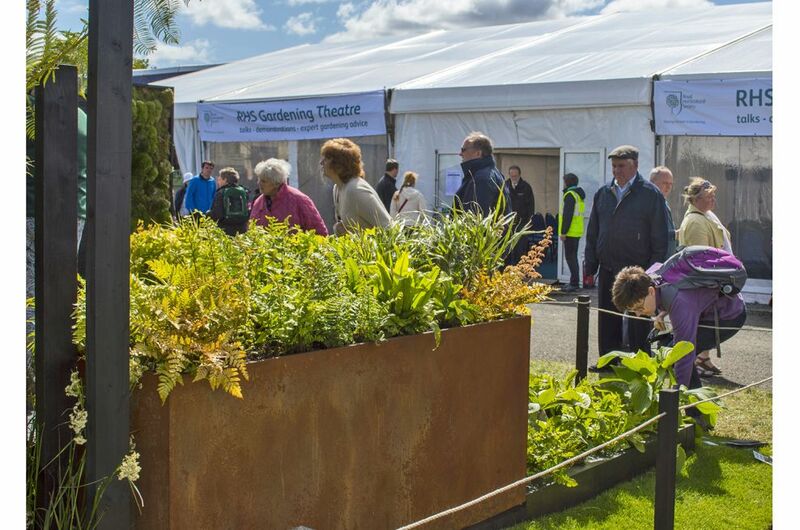 The garden was awarded a Silver-Gilt Medal, and was a joint winner of the Artisan Award 2015.